Every four years, the world’s top athletes gather to contest their skills and discover who is the best of the best. The Olympic games include three equestrian competitions: dressage, stadium jumping. and eventing. Becoming an Olympic equestrian involves a long road of dedication, a willingness to seek out sponsors, and a commitment to sport that often feels more like a way of life. It takes an entire team to get one individual to these top competitions, including coaches, grooms, and veterinarians. It also requires an enormous amount of money to get from your backyard to the Olympic podium. Many top riders start out in horse-oriented families, but not all do. Riders usually spend their childhoods being involved with Pony Club, 4-H, or other local riding organizations. In the early years, as an Olympic hopeful, you may also compete in local schooling shows and open show circuits or join a high-school or college team. A good coach is essential to coach you through these competitions. Most states or provinces have an official organization that organizes circuits in one or more particular discipline. Because some Olympic equestrian sports are team contests, you must be able to work individually and with a team. Of course, coaching, practice, and having the right horse are critical to success. Developing riders usually need a different coach to take them to each new level they are striving for. Young Rider programs are offered throughout North America and are open to all youth riders from ages 14 to 21. The governing body for Olympic Equestrian competition is the Fédération Equestre Internationale, or FEI. Young Rider programs offer progressive levels of competition in all FEI-recognized sports and provide an introduction to competing under FEI rules in addition to the dress and the expectations of international competitions. Riders who qualify to compete in the North American Junior and Young Rider Championships (NAJYRC) and are invited to compete by their equestrian federation in Central America, the Caribbean, and Bermuda as well as each province of ​Canada and each USA Equestrian Zone (Show Jumping), USDF Region (Dressage), and USEA Area (Eventing). There also may be opportunities to compete in events such as the Pan-Am and Commonwealth Games and other Grand-Prix and high-level events in Europe and other parts of the world. The Young Rider Program also serves as a stepping stone to being selected for a national team, such as the Canadian or United States Equestrian Team, Aspiring riders can prove themselves by placing consistently in major competitions like Rolex and Badminton. From the best of these riders, a national team is chosen. The selection starts as a long list, and then, depending on points and other factors, a shortlist is drawn up. From this pool, riders are chosen to compete at World Championships, World Equestrian Games, and the Olympics. 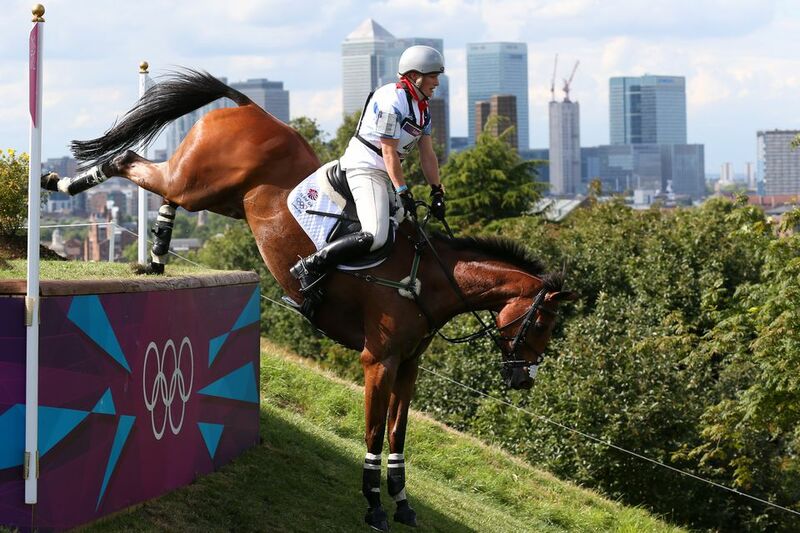 In reality, the dream of taking a backyard horse to the Olympics isn’t likely to come true. Movies and novels might be full of these fairytale stories—and there have been some unlikely horses and competitors who make it—but competition at the international level usually requires a pool of horses. The horses are very expensive and often are imported from Europe or elsewhere. Most of these horses are leased, although there are programs promoting the breeding of international-level competition horses in North America. In any case, the costs of keeping horses, travel, competition fees, memberships, and other expenses are very high, and good financial planning and maintaining sponsorships usually are essential. There is no age limit to being on the Olympic Equestrian team. Riders in their seventies have debuted at the Olympics and competed successfully. While it may be beneficial in some sports to be young, experience and intuition are important, and this sometimes favors older riders.